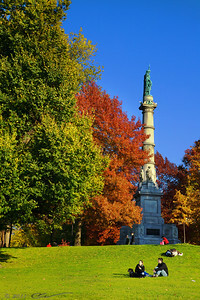 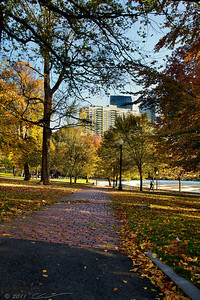 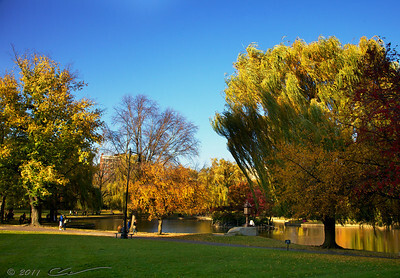 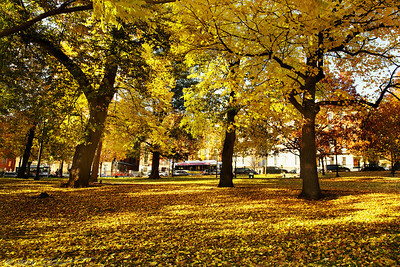 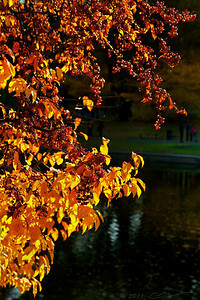 Boston, Boston Common & Public Garden in the Fall. 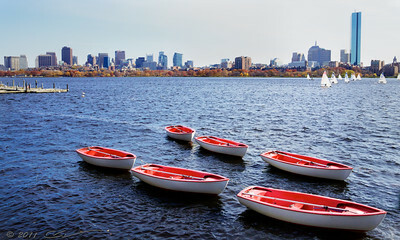 The Charles river and Boston skyline viewed from Cambridge, Memorial Drive. 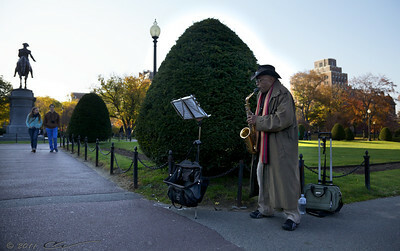 A street musician playing "Yesterday" on his saxophone in the Public Garden in Boston. 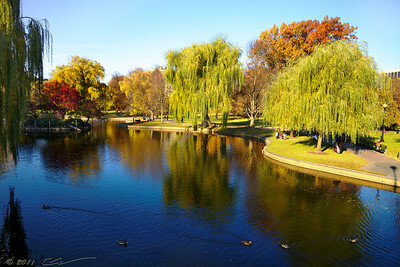 Tourists feeding ducks off the empty Swan Boat dock in Boston's Public Garden on a sunny afternoon in mid-November.